Jøtul F3 is the advanced model of the popular Jøtul F3 TD, with cleanburn technology for greater efficiency and controllability and an integral ash solution for ease of use. Cast with clean classical lines, the Jøtul F3 is offered in traditional Matt Black or with one of Jøtul's iridescent enamel finishes, Blue-black, Pewter or Ivory. Adaptable with a short leg option, the Jøtul F3 and Jøtul F3 TD make an elegant focal point in any room. 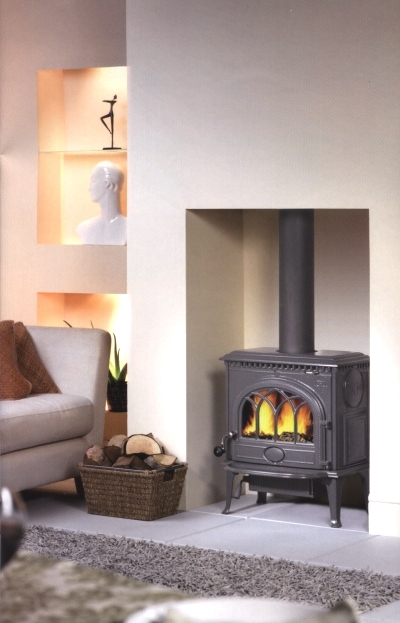 An environmentally friendly woodburning stove, the Jøtul F3 is also capable of burning a mixture of wood and selected smokeless fuels. 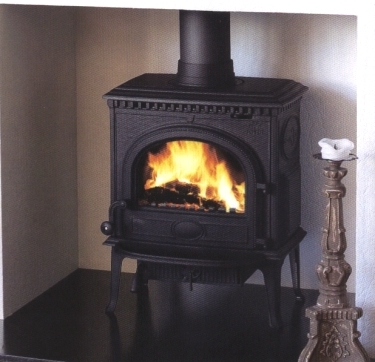 This is a true multi-fuel version of the iconic cast iron Jøtul F3. Available in Black paint only, the plain door gives an uninterrupted view of the fire. With primary air control on the ash pan door and secondary air via the control at the top of the stove, user friendliness comes as standard with this model. It comes complete with an easy to remove bottom grate. The Jøtul MF3 redefines the word classic.